In the InLoox options you can edit mind map templates that you have created in the projects. 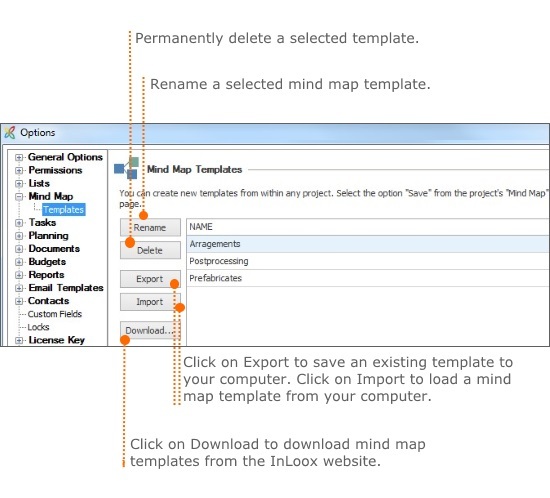 For managing the mind map templates you need specific user permissions. 1. Open the InLoox options by clicking on File in the upper left corner. 3. Click on OK or Apply to save your changes in the InLoox options. Manage mind map templates in InLoox 9 • Copyright 1999-2019 © InLoox, Inc. All rights reserved.